As a sanctuary we try to empower peace. Do take a quiet moment of reflection to pause and consider how you and we can all facilitate more freedoms into the lives around us. Be mindful towards finding new and meaningful ways of respecting the personhood and autonomy of all animal-persons. By exploring radical forms of respect, sanctuary becomes a means of revolution. Thank you for adding to this. This is the kind of peace created together that you can take with you when you leave. 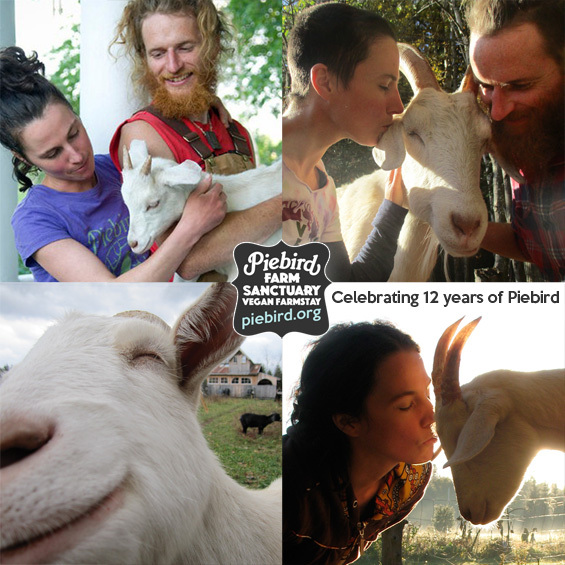 This week Piebird celebrates 12 years! That’s 12 years of sharing new forms of connection, friendship, love and living-together with animal-persons that will lead to a broader peace — a peace based on establishing the sovereignties of all animal-persons and respecting everyone as individuals with sentience, love, language, laughter, family, friendship, community, creativity, imagination, joy and rights. This is the work we do at Piebird Farm Sanctuary. We invite you to invite this peace into you life!